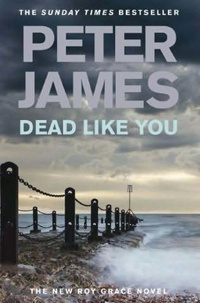 Win a signed copy of the latest Peter James Bestseller Dead Like You if you can! The AAPT would like to offer members the chance to win a signed copy of the latest bestseller Dead Like You by Peter James. Please submit, in no longer than 400 words, an APT character profile that you feel would be perfectly suited to appear within the Roy Grace series of thrillers. Entries should be received by no later than Tuesday 31st August and the Winner will be announced at Conference 2010. All submissions will be judged by Alex Cochrane, Website Manager and part-time author, and should be sent to mail@aaptuk.org as a Word.doc with the Subject Header Peter James Competition and your name. Rules: Open only to AAPT members & the decision of the Judge is final! Entries after 31st August are invalid. You do not have to attend Conference to enter!